Before you head out on your next hunting trip, you will need to be prepared. Hunting is a fun sport however, it also involves some serious preparation. As a hunter myself, I know what you need, and I also know what you want. Hunting is about skill and getting back to nature, but it is also about relaxing and having a good time. To make the most of your hunting expeditions, you need to have the right hunting gear and apparel. Most importantly, you will want to have the right boots for comfort and safety. We have picked 9 of the best hunting boots available on the market in 2017 and taken them on a test run for you, so that we can give you the heads up of what to expect. Irish Setter Men's 2875 Vaprtrek Waterproof 17"
5. 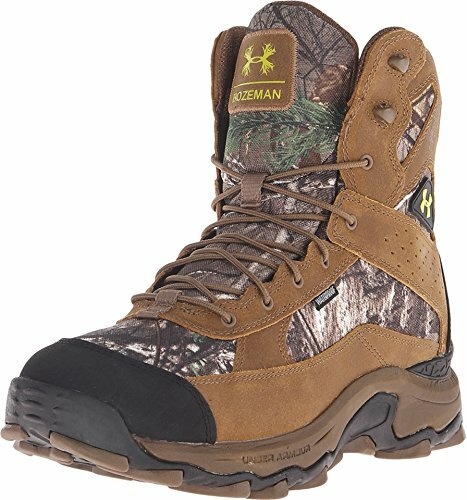 Under Armour Men's UA Speed Freek Bozeman Hunting Boots– Wild Life Ranger's Rejoice, This Is the Boot for You! 7. 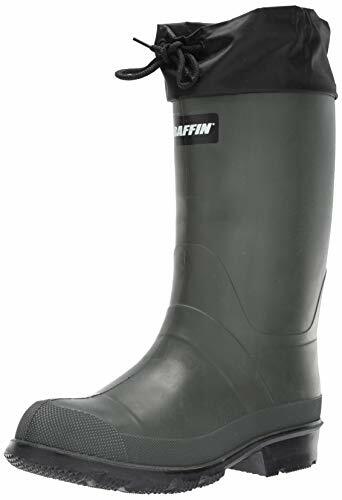 Baffin Men's Hunter Waterproof Boot – The best waterproof boot design on a budget. Where will you do most of the hunting? What are the Qualities of a Perfect Pair of Boots? Versatile – Lots of Pairs of Boots, Or Boots for Every Condition? If you are looking for the best day-to-day boot to wear, look no further. 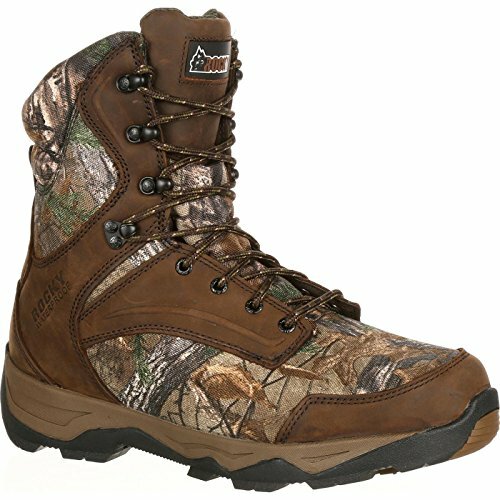 The Irish Setter Men's 2870 Vaprtrek Waterproof 8" Hunting Boot is a great choice. This boot is designed for everyday use and is a perfect fit for ‘the hunter'. The Realtree Xtra Camouflage color is a fantastic blend to suit all environments. They are fashionable and stylish with a comfortable design to suit someone with a passion for hunting and hiking or someone in the army/military. The rubber sole is not as heavy as you first may think, it is quite light in fact. The waterproof design has been trialed and tested to perform efficiently. This boot features the Ultra Dry waterproofing system and the durability is optimal. These boots are tough and will stand up to any outdoor terrain job. You will appreciate the look of the boot and hard wearing synthetic material. The shaft on the boot measures at 7 inches from the arch. The RPM composite technology reduces the weight of the boot without risking the durability and comfort. It also features Scent Ban scent control. Whether you wear them for work or for pleasure, these lightweight ankle height boots are ideal will prove effective for a long time to come. Durability – designed tough enough to stand up to extremely rough use. They are lightweight. Comfort – ability to maintain comfort for long wear and through brutal conditions. It won't cause blisters and other foot pain. Scent Ban – This kills foul odors and reduces bacteria from developing within the boot. Waterproof technology - Ultra Dry is very breathable which is what makes them effective at repelling water. Sizing – you need to be spot on with sizing as it can be quite a tight/snug fit. Uninsulated – although they are uninsulated they still keep the feet reasonable warm. 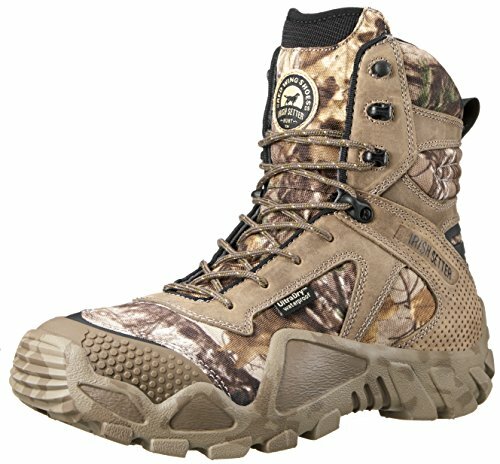 If you are looking for outstanding value in the hunting boot market you should consider the Irish Setter Men's 2870 Vaprtrek Waterproof 8" Hunting Boot. Equipped with some fantastic features, these high-performance boots are high quality and will not let you down. Sure, you want to enjoy your time in the woods or desert, but have you really thought about your foot protection? The last thing you want is to get bitten by a venomous snake whilst enjoying your time in the great outdoors. It is very important to think about protection before making your purchase. The Irish Setter Men's 2875 Vaprtrek Waterproof 17" Hunting Boot will provide your feet with the ultimate foot protection. This amazing pair of boots offers the best protection against a venomous bite, while still being lightweight and durable. Sure, there are so many snake boots on the market but by far the Irish Setter Men's 2875 Vaprtrek Waterproof 17" Hunting Boot prove to be one of the best on the market today. The Irish Setter Men's 2875 Vaprtrek Waterproof 17" Hunting Boots efficient snake protection. These boots are made of quality leather and synthetic materials and features a durable leather sole. The 17" boots also feature the lightweight RPM technology so your feet will adjust and experience the fantastic benefits of maneuverability in all terrains. The Ultra Dry waterproofing system protects the feet so you don't have to worry about water getting inside the boots or suffering from cold feet. The Scent ban technology will eliminate any foul-smelling odors and banish bacteria inside the boots. The boots fit well but are also close enough fit your legs to ensure your maximum safety. Protection - with the knee-high design and snake guard protection it prevents fangs and other venomous/non-venomous threats from penetrating into the legs. Durability – designed tough enough to stand up to extremely rough use. Support – effective support for outdoor adventures. Comfort – ability to maintain comfort for long wear and through brutal conditions. It won't cause blisters and other foot pain. They are lightweight. Scent Ban – This kill foul odors and reduces bacteria from developing within the boot. Soles – The soles may not be as long lasting as first thought. If you are looking for outstanding value in the ultimate snake protection you should consider the Irish Setter Men's 2875 Vaprtrek Waterproof 17" Hunting Boot. Equipped with good high leg protection, these high-performance boots are of highest quality and will not let you down. If you are on the hunt for a pair of boots that will stand up to the demands of hunting life, while still offering premium comfort, then the LaCrosse Men's Alphaburly Pro 18" 1600G Hunting Boots are the pair for you. These boots are of the highest quality, scent free and adjustable for a genuine perfect fit. They offer amazing protection that are made to go the distance. The LaCrosse Men's Alphaburly Pro 18" 1600G Hunting Boots features several layers of rubber both at the heel and toe of the boot to offer protection from any dangerous elements in any terrain. They are extremely durable so the rubber will withstand anything thrown at them. The extra support not only protects the foot as a hunting boot, it also protects the toes if something heavy were to land on them. Although it features several protections covers, they are still lightweight and are easy to wear. The Adjustable Neoprene Gusset at the calf ensures a smooth transition. No time is wasted struggling with putting them on and taking them off like some other boots on the market. The lining of the boot has a 1600G Thinsulate Ultra Insulation lining which warms and cools the feet when required and promotes air circulation in the boots. They are extremely durable yet lightweight boots possess scent free rubber and the naturally insulating Neoprene to keep them waterproof. The thick cushioning EVA midsole is what creates ultimate comfort and shock absorption. 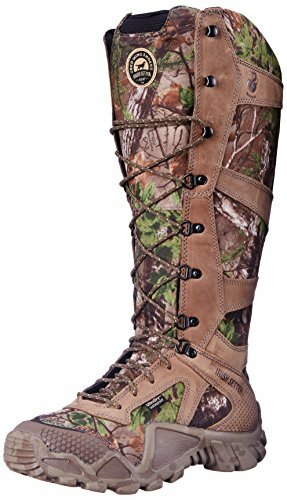 The LaCrosse Men's Alphaburly Pro 18" 1600G Hunting Boots come in the Realtree Xtra that is the perfect camouflage for the outdoor terrain and keep you looking stylish. Lightweight – these boots will allow you to move faster, lighter, and comfortably. Maintenance – easy to keep clean. Comfortable – you can thank the active fit for ultimate comfort and easy to put on and off. Insulation – they offer great air circulation and keep you warm. Durability – tough rubber sole that offers great traction. Wearing – at times when boots are muddied, it can sometimes hinder removal of the boots. Bulk – due to the amount of insulation the boots are slightly bulkier than others, however, they are still lightweight and easy to wear. Well there you have it, if you are looking for an effective hunting boot that will stand up to your hunting demands, you should consider the LaCrosse Men's Alphaburly Pro 18" 1600G Hunting Boot. Equipped with the secure, and active fit technology, these boots are well thought out specifically with great insulation to keep you comfortable all year round. For the lovers of all things outdoors, having the most reliable pair of rubber boots is essential for those of us that enjoy fishing, camping, or other various outdoor activities. The LaCrosse Men's Grange 18" Hunting Boots is a safe and satisfying choice. LaCrosse boot products have been around for some time now and always live up to their name. Rest assured they are of the highest quality. These boots will keep your feet comfortable, water tight and secure for long periods of hunting, fishing and during everyday farming activities. The LaCrosse Men's Grange 18" Hunting Boot are made durable and lightweight which make them the ideal choice. The LaCrosse Men's Grange 18" Hunting Boots are durable and water resistant, which is extremely helpful when out in wet and muddy terrains, and in less than hospitable conditions. They offer ZXT scent-free rubber that is tear and abrasion resistant and offers optimum sole and leg comfort which is functional when doing a more aggressive activity. The multi-layer rubber on the heel and toe and the added durability of ribbed vamp. The top strap is adjustable with the ability to clinch at the top, and the Active Fit technology locks the heel into place for a more secure and comfortable fit. The shaft is approximately knee high from the arch and features that reliable rubber sole. They provide great traction, stay snug around the ankle. The mud doesn't stick well which is a plus to assist keeping them free and clean. Lightweight – light and comfortable to wear for long periods. Waterproof – they are water-resistant. Comfortable – you can thank the Active Fit Technology for ultimate security and comfort. Durability – They are made with durable ZXT scent-free rubber that is tear and abrasion resistant. 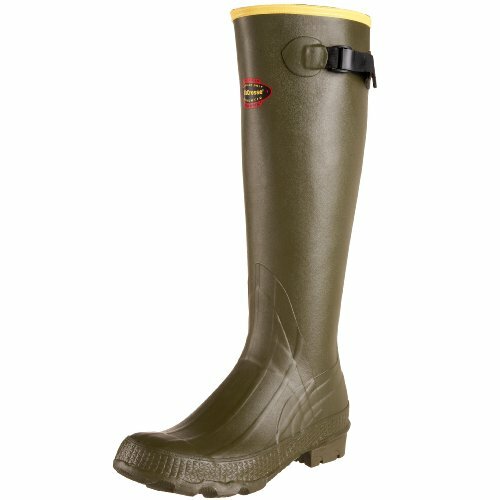 Length – the 18" length of the boot is great for muddy and wet conditions and it helps us to tuck pants into the boot without any difficulty. Removal – the boots can become difficult to remove after use; however, they are a great fit for actively moving around. Sizing – unlike some other men's hunting boots, these boots do not come in a fit ideal for women too. If you are looking for an effective fishing/camping pair of boots that will securely keep your feet dry, you should consider the LaCrosse Men's Grange 18" Hunting Boots. With the Active Fit technology and the premium ZXT rubber, these boots are a fabulous choice. They are good quality sold at a reasonably lower price so they won't break the budget. If you're the outdoorsy type, then you will probably love Speed Free Bozeman Hunting Boots. They are light weight, so they won't slow you down and come in several different color options. The Synthetic lining will keep your socks and feet dry in all conditions. They also have UA's Exclusive Scent Control technology which will help prevent your boots smelling like the trophy animal that you're bringing home from the hunt. The EVA molded midsole is designed to provide you with the ultimate in comfort and shock absorption. Combined with the lightweight materials used in the construction of the boots, this allows you to run at speed without being weighed down by heavy boots. A combination of suede leather for comfort and an abrasion resistant, nylon upper, helps the boot's durability against the underbrush of the forest. The breathable, waterproof lining allows your feet and socks to stay dry, whilst letting them ‘breath' so you don't end up with sweaty and smelly feet and boots. Waterproof – Keeps your feet dry and warm. Shock absorbing midsole – Reduces impact on your feet, ankles, and knees. Stylish – Comes in 5 different colors. Lightweight– Great for long distance hiking. Thin Soles – not the best boots for walking on jagged rocks or extreme terrain. Lacks longevity – They are ok for light use, but wear out quickly with heavy use. Narrow fit– If you have a wide foot, buy a larger size. The Under Armour Men's Speed Freek Bozeman Hunting Boots are a great light weight boot for the outdoors. They will keep your feet dry in wet weather without weighing you down. However, they are not built for rough terrain or harsh conditions and can't compete with some of the heavier duty boots on the market. Are you adventurous? Do you love hunting, hiking, spending time on boats, or other participating in other outdoor activities in the colder seasons? If this sounds like you then the Kamik Men's Hunter Boot is the pair for you. The Kamik Men's Hunter Boot provides the most pleasant warmth even in the coldest terrain. If you often find yourself walking through water and wet terrain than these boots are a great option to provide you with the safest foot protection. You can always rely on the Kamik brand to give you strong and durable footwear for all of your adventures. The insulation in the Kamik Men's Hunter Boots has been trailed and tested to stand up to some of the harshest weather conditions on earth. The removable sole has been designed to provide comfort and support. The adjustable collar fits comfortably around the calves and is a very snug fit, and as a result, the warmth is sealed inside the boot to keep you warm, and to keep water, mud, or even snow out. These boots have optimum traction to keep you safe in some of the roughest environments. They feature rubber outsole to prevent you from slipping. This synthetic boot measures 13" from the arch, the heel measures 1.25", and the boot open measures at 15.5" around. These boots may not look the most stylish or be priced in the upper range, so you may question the performance, but you will be pleasantly surprised at how well they perform. The Kamik Men's Hunter Boots are suited for use in the colder climates. Comfort – Flexible and keeps the warmth in. Support and Safety – Excellent tread, grip, and offers ankle support. Sizing – Can feel slightly tight. Comfort – in the warmer temperatures the feet may overheat. Style – not the most stylish boot on the market. 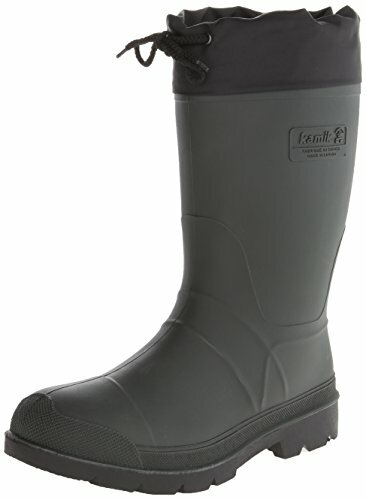 If you are looking for a pair of winter/wet boots, you should definitely consider the Kamik Men's Hunter Boots. They will securely keep your feet dry and stand up in the coldest, and wettest terrains. They are a great quality boot and sold at a fantastic price that is affordable. They are absolutely worth the money. So, you are on the lookout for a decent pair of waterproof hunting boots. Whether you step lightly or jump two feet first into the great outdoors, a good pair of waterproof boots are a must. There are many types on the market that claim to do the same thing, however, every brand has its own pros and cons. The Baffin Men's Hunter Waterproof Boot are designed for lightness and durability. The Baffin Men's Hunting Boots are made of high quality, durable rubber. They are flexible and lightweight to assist you moving around comfortably. The boot features a felt liner and adjustable snow collar which allows you to feel warm in the coldest climates as low as -40 degrees. The Baffin brand are confident in manufacturing boots which cater for colder climates and terrains. If you suddenly become swamped in the snow, these boots are made to withstand it. Rest assure your feet will be comfortable, remain warm and be protected. These boots are genuinely waterproofed. They have been designed so the boot is long enough to safely protect your leg but are still lightweight enough to move freely. They are specifically designed for adventure seekers and hunters and is available in all common men's sizes. Durable – high quality, durable material on the soles for tough long wearing use. Comfort – removable liner. Very flexible. Waterproof - waterproofing and the nylon collar prevents anything entering the boot. Support and Safety – leg protection and lightweight. Grips well. Sizing – only comes in common sizes. Unfortunately, not great sizing for women if they wanted this style of boot. You will be amazed if you make the choice to purchase the Baffin Men's Hunting Boots. It will live up to the promise to keep your lower body warm, secure and safe in the cold weather climate. You will be sold on the comfort and durability these boots possess. The Baffin Men's Hunting Boots are a reliable and affordable option that won't break the bank. If you are planning a great wilderness hike or just a casual stroll around the suburbs, The Rocky Men's 8-inch Retraction Hunting boots will effectively do the job. This Rocky brand pair of boots are made of high-quality materials that are designed to look stylish and keep your feet warm and comfortable at the same time. These boots are specifically designed for hiking through rough terrain or for enjoying everyday life. They are built for ‘the hunter' and for working men and women. Finally, we have discovered a pair of boots that cater for both men and women! The Rocky Men's 8-inch Retraction Hunting boot are an excellent choice for a waterproof and insulated boot. 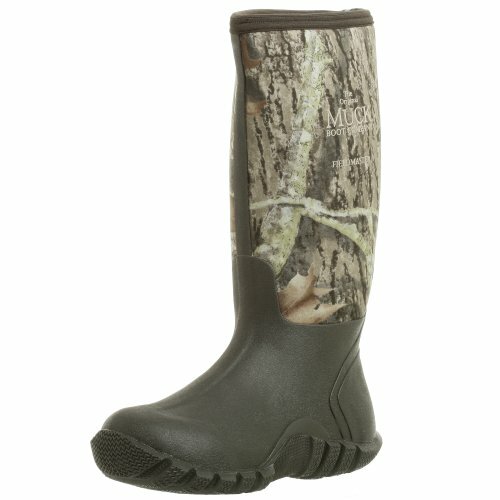 They are made of a combination of the RealTree Xtra Camouflage nylon, leather, and textile to offer flexibility. The nylon is designed to avoid tearing as you are hiking through some of the most unpleasant terrains. The Rocky waterproof system is guaranteed while maintaining breathability. These boots are insulated with 800 grams of 3M Thinsulate Ultra insulation to keep your feet at their warmest through the coldest seasons. They have a memory foam Energy Bed foot bed to add comfort and feature a quality synthetic sole. The Rocky Men's 8-inch Retraction Hunting boots are 8" in height and possess nylon for arch support to keep your feet from getting tired feet. Comfortable – you can thank the 800 grams of 3M Thinsulate Ultra insulation and the Energy Bed memory foam for genuine comfort. Durability – They are made with leather, textile, and nylon to stand up to harsh terrains. Unisex – both men and women can wear these and feel them amazing comfort these boots offer. Bulk – these boots have a slight bulky feeling to them. Comfort – depending on your feet, if you have a raised toe, they may dig into the toe slightly. Well here it is, if you are looking for a stylish and secure hunting boot that can handle the harsh terrain, the waterproof and insulated Rocky Men's 8-inch Retraction Hunting boots are a fantastic choice. If all of the above features don't hook you in, the Rocky retraction system will. You have discovered some of the best advice about hunting, and number 1. is to invest in a great pair of hunting boots. Unfortunately, your choice of boots can decide if you have an enjoyable hunting trip or a bad one. If you are constantly worrying about your feet all the time, how can you really enjoy your hunting activities? Investing in good hunting boots, such as the Original Muck Boots Adult Field Blazer Hunting Boot, not only securely protect your feet, but make you experience so much more comfortable. The Original Muck Boots Adult Field Blazer Hunting Boot is made to last the distance. Muck Boots were made for extreme wet and muddy conditions, so if you want to stand in water to fish, you can. It offers the best protection in the most unappealing conditions. The lightweight, 100% waterproof vulcanized rubber shell offers protection, and possess a soft flexible shaft that is abrasion resistant to give maximum durability. The air mesh lining is breathable and superior flex-foam layer with a 4-way stretch nylon will keep your feet dry in sub-freezing climates. The stretch-fit topline will fit snug to your leg to trap the warmth in and keep the chilly climate out. These boots offer a slip-resistant rubber sole, shank reinforcement, and a reinforced Achilles support panel. The features don't stop there. The knee-high hunting boot features Real Tree camouflage and stylish Mossy Oak Breakup Camo coloring which gives these boots an extra hit of wow. Versatile - You can use these for so much more than just hunting. Secure – They are slip resistant. Safety - They are not snake proof. Protection – if they were steel-toe boots it would be an added bonus. Scent – Be sure to clean thoroughly on a regular basis as they may start to smell. The Original MuckBoots Adult FieldBlazer Hunting Boot is the perfect choice for a man or woman looking for protection in some of the wettest terrains. You can take these boots fishing or hunting in the wetlands, and you can rely on these boots to keep your feet toasty warm, dry and comfortable. At the end of the day when we are ready to kick those boots off, they are easy to remove, which is something that appeals to me! Your body changes with time and your feet are not an exception; they may not change a lot, but they do change! Hence, you must know your current size before purchase a new pair of boots. You also need to remember that sizes differ from one shoe to another. For example, if you wear size 10 sneakers, it doesn't mean that you need the same size in a pair of boots. It is important to ensure that you are getting the right size boot if you want to be comfortable when out on a hunt. A properly fitting pair of shoes is very important when it comes to long, demanding treks through wild terrain and natural hunting environments. Some manufacturers offer a sizing reference that you can take advantage of. Know the size of your foot; measure it if you need to. - Try as many brands as possible. - Try every pair with the same socks that you will use during hunting. (If you wear thicker socks when hunting, then there is no point testing your boots with a pair of thin cotton dress-socks). - Pay close attention to the slightest imperfections. With these tips, you can save time and money, (and avoid getting blisters), by getting the right pair the first time. The most important role of the boots is to protect your feet wherever you hunt. Hence, you need to consider the environment you will be hunting in when selecting your perfect pair of hunting boots. If you are hunting on rocky terrain, boots with thick, rigid soles may be preferable. However, if you are on a lighter and longer terrain, you might prefer to opt for lighter boots that don't weigh you down. Light pairs will benefit you during long walks and particularly if hunting in mountainous areas. While hunting, you will likely be in the wilderness for quite some time. For this reason, it is important that you are wearing a comfortable pair of hunting boots. No one wants to get sore feet, blisters, and bruises while hiking. Your friends do not want to carry you back to the truck! So, what makes a perfect pair of hunting boots? According to Hunting Tips and Tricks, these factors will help you make the best choice. Have you tried wearing a pair of regular shoes that didn't fit well? It's the most uncomfortable thing in the world, right? Similarly, wearing a pair of hunting boots that do not suit your feet will ruin your hunting experience, and probably the rest of your week too! To ensure that the shoes fit you well, try wearing the kind of socks you usually use. Loosen and tighten the laces, until you feel like your foot is ‘snug' but not strangled. If your boots are too loose, you risk tripping over or spraining an ankle. If your boots are too tight, you will get blisters, sore feet and even limit circulation to your toes. Follow these steps, and make sure you are 100% happy with the feel of the boot before you buy them and head out on your hunting trip. *Pro Tip. Scrunch up a ball of damp newspaper (not wet, just damp) and place inside your boots overnight before wearing them. When you put your boots on the next day, after removing the newspaper, of course, they will mold around your feet more naturally, for a perfect fit. A well-insulated pair of boots can protect your feet in extreme temperatures. For example, if you're hunting in an icy forest, your boots should be insulated enough to prevent you from getting frostbite. Similarly, if you're in a hot terrain, your boots need to keep your feet cool and comfortable. So, you really do need to consider your hunting environment when deciding the kind of insulation that you want your boots to have. If you're anything like me, you don't hunt in the same area all year round. Personally, I like to look for new hunting locations for a more exciting experience. It's great to get out into new areas that I haven't been to before and testing my skills in different environments. Hunting in the snow is a completely different sport to hunting in the woods in spring. This is why it is important that your boots are versatile enough for multiple purposes. Unless you are like me and have a different pair for each different trip. If you don't want to buy multiple pairs of boots, it's best to select boots that you can use in many different types of terrain and weather conditions. You may also want to consider getting a pair that are water resistant. 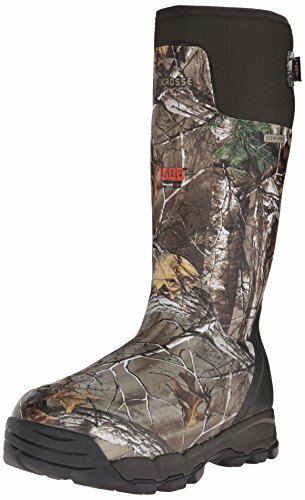 These boots are perfect for rainy and dry hunting seasons. Some boots can cost hundreds of dollars. On the other hand, there are brands that can be very cheap. Hence, be a smart buyer. There's nothing wrong with buying an affordable pair as long as the quality is still good. Remember, hunting boots are always battered in the wild conditions. Therefore, buying a cheap pair and replacing it after a couple of uses is not cost effective at all. Personally, I prefer to invest in slightly more expensive boots that will last me for many hunting trips over several years. Now that you know how and what to look for, it's time to check some of the hottest pairs on the market. These pairs contain all the qualities for a perfect pair of hunting boots. Honestly, these are the products that I will consider buying when I'm in the market for a new pair.